If you have one, or multiple, children in any sport or activity outside of school, it’s an all too familiar routine. Most likely you’re running around when you’re not taking care of the home or yourself and you’re dropping them off at soccer practice, dedicating every weekend to a game, or attending quarterly concerts for your musically gifted ones. Though you are undoubtedly proud, in the midst of this craziness, it can be easy to wish there wasn’t so much to attend to. There is good news though! Before you curse that one millionth peanut butter and jelly sandwich you’re making for your over-active kids, let’s take a look at what benefits this madness can bring. There has been controversy surrounding the involvement of extra curricular activities and the impact it has on academic achievement. However, as more research has been done to prove there are multiple health, social, and intellectual benefits as a direct result of involvement outside of the classroom. Let’s take a deeper look into what you can expect as a result. Whether your children are shy or the class clown, having an activity that they love and can grow in with like-minded peers does great things for their development socially. Especially if they are shy, having common ground in a sport or hobby-activity can help alleviate the social anxiety of making new friends. Furthermore, in the midst of adolescence when so many hormones are shifting and friendships can change frequently, having an established team can help ground them and learn valuable relationship skills. It also helps them connect with a larger group of friends they may not have otherwise crossed paths with. Moving into adolescence from elementary school can be a difficult and stressful transition. As they get older, the temptation to skip class, act out in bad behaviors, or even drop out of school, become a higher risk. 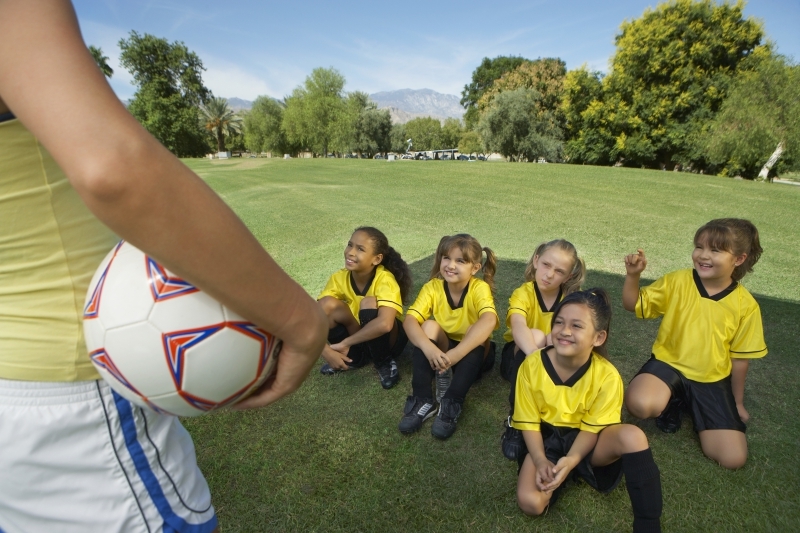 Encouraging them to stay active in an activity outside of school can help them engage and put their efforts into something constructive that will directly benefit them long term. Additionally, most extracurriculars require a non-negotiable GPA to stay participate, which is a great incentive for students to stay engaged in the classroom. One of the greatest benefits of extracurricular activities that is being identified, is actually the improvement of academics that directly coincides with them. 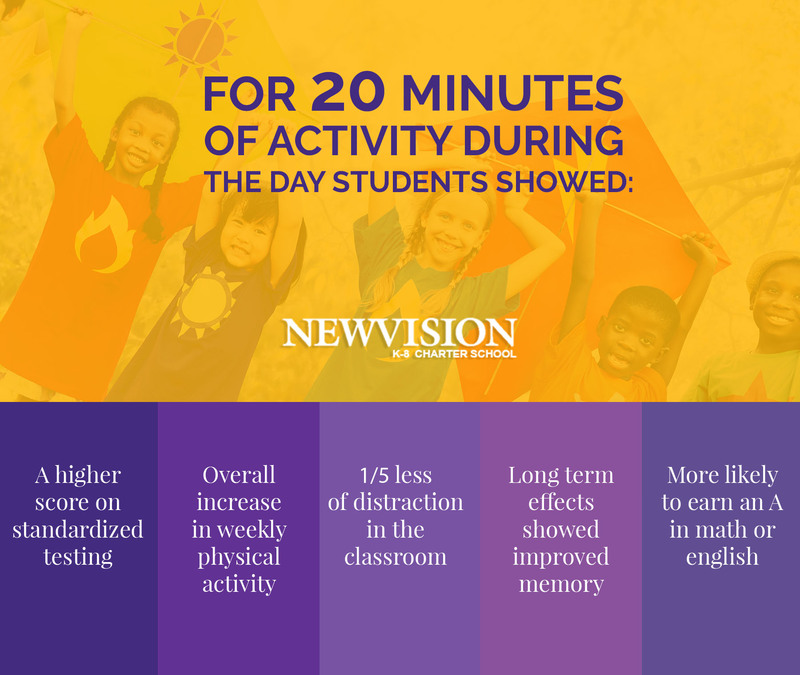 Studies are showing that a simple 20-30 minutes of exercise throughout the day with children actually had better best test results, fewer disruptions in the classroom, and improved memory. Allowing them to interact in an area of common interest can help balance them out and exert energy in a constructive manner that will, in turn, improve their focus and time management. New Vision Charter School is passionate about creating a healthy and thriving atmosphere for students. Our staff members pour their energy and experience into all they teach and how they teach. With ages kindergarten to 8th grade, we make it our mission to design a place for each child to learn about themselves and pursue what they are passionate about, including extracurricular activities. With some of the highest test scores, New Vision is dedicated to developing our students in every arena. Call today to ask about enrollment process and learn how to become a part of our growing school.